Russ Vanderboom is native to Wisconsin. He was a Marine in 1970. After serving with the military, he pursued a career in agricultural journalism in Wisconsin before returning to the University of Wisconsin, Madison, to earn a master’s degree in dairy science and a doctorate in endocrinology and reproductive physiology. Molecular aspects of endocrinology swept him away; his passion for estrogen-regulated mammary gland development in mammals evolved into a keen, driving interest in the pathology of breast cancer in humans. Medical science became the focus of his second career. He combined his interests in science and journalism as the medical science writer for research at the Cleveland Clinic, and then as the senior science writer at the American Association for Cancer Research in Philadelphia. He currently supports clinical research and studies telomeres in the Mayo Clinic Cancer Center, Rochester, Minnesota. He is married and has two children. 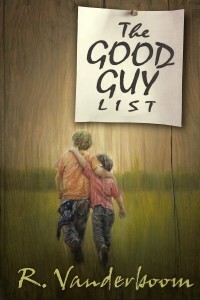 The Good Guy List is his first novel.